The community's stalled recovery is a man-made disaster. A home which was flooded during Hurricane Katrina remains abandoned in the Lower Ninth Ward on May 16, 2015, in New Orleans. A block and a half separate Henry Irvin's house from the bayou that serves as the northern border of the Lower Ninth Ward in New Orleans. Modest single-family homes used to line both sides of the street, before Hurricane Katrina hit in 2005. Today, it's all but empty. Irvin, a 79-year-old widower with two bad knees, has no neighbors between him and the bayou. Facing in the other direction, Irvin stares into a similar solitude: There's a falling-down house two lots away and a small Baptist church at the end of his block, but otherwise Irvin — a man often called the “mayor of the Lower Ninth Ward,” even by the city's current mayor — lives here alone. One block over, on Tricou Street, there are six occupied homes, a veritable metropolis in this corner of the community. In whatever direction Irvin points his red truck, he traverses entire blocks choked with vegetation, devoid of both houses and people. Ten years have passed since a series of catastrophic levee breaches caused the Lower Ninth Ward, along with most of New Orleans, to flood. The city, state, and federal governments have invested more than $600 million in the Lower Ninth, a relatively compact community that measures 20 by 25 blocks. Foundations have contributed tens of millions of dollars to the area. Brad Pitt alone has raised nearly $50 million through the Make It Right Foundation. Tens of thousands of volunteers have done work in the community. All of which raises the question: Why do large stretches of the Lower Ninth still look as if the levees failed only a year ago? A black homeowner was more than three times more likely than a white one to live in a flooded part of town. The city’s mayor, among voices, singled out the Lower Ninth as the one community that shouldn’t be rebuilt. Soldiers bared Lower Ninth residents from returning months after the rest of flooded New Orleans had reopened. Simple economics has played a big part. Prior to Katrina, the Lower Ninth — a community sometimes referred to as “Backatown” — was home to many of the housekeepers, kitchen workers, and others who kept the tourism industry going in New Orleans. Another large share of its people were retirees who, like Irvin, lived on a fixed income. The average resident survived on $16,000 a year, and more than one in every three residents lived below the poverty line. While this separation made the Lower Nine, as residents tend to call their neighborhood, a distinct and vibrant place, it also left it vulnerable when disaster struck. 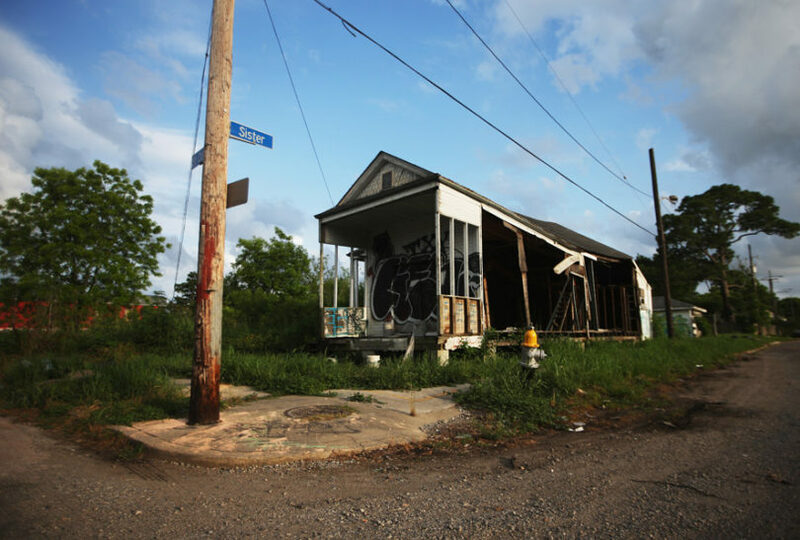 The shame is that a mix of misperceptions and racially informed myths about the Lower Ninth Ward set the stage for one misguided policy choice after another, at all levels of government. Despite the well-meaning efforts of thousands of volunteers and hundreds of millions of dollars in private donations and public aid, the desolation of Henry Irvin's community today is a self-fulfilling prophecy. Read more from Gary Rivlin’s series “The Lower Ninth After Katrina,” which documents the city’s rebuilding efforts — and the residents who have been left behind. Home ownership in the Lower Ninth was high before Katrina — higher than in most other parts of the city. I once thought that neighborhood advocates had a tendency to repeat this fact with an exasperating redundancy, but then I sat down in 2013 with Ryan Berni, the press secretary for New Orleans Mayor Mitch Landrieu, who came to office in 2010. More than seven years after Katrina, Berni told me that a “lack of home ownership in the community” was the main reason the Lower Ninth was still suffering. The community was certainly hardscrabble, a home to the working poor. But it was also home to strivers like Irvin, a college-educated son of the Lower Ninth who worked as a shop supervisor at a federal facility that built fighter jets. Yet in the days after the levees failed, the community was cast as though it were little different from a run-down slum on the edge of some city in the developing world. “We weren't even given the credit of being working-class people,” said Ronald Lewis, a retired streetcar repairman whose home was flooded, in an interview with NPR's Debbie Elliott. At least Kathleen Blanco, the white Democrat serving as Louisiana governor when Katrina hit, didn't single out the Lower Ninth as a lost cause. But she was the architect of a recovery effort called Road Home, a federally funded program whose failures go a long way toward explaining the current state of the neighborhood, and of other parts of black New Orleans that are still far from a full recovery. Whether or not by design, this nearly $10 billion plan, billed as the largest housing-recovery program in the country's history, favored the middle class over the working class, and white communities over black ones. Blanco also engineered the state's takeover of most of the city's public schools, which made the governor responsible for another big policy failure after Katrina: neglecting to reopen the schools in many New Orleans communities, including the Lower Ninth — a basic prerequisite for families to return home. Elevation is destiny in New Orleans. That never seemed more obvious than in the months after Katrina, when the city openly debated the wisdom of converting some of its lowest-lying communities back to swampland. “Shrink the footprint,” the outside experts advised. A city once home to more than 600,000 people, and which had already lost more than a quarter of its population in the decades of white flight that preceded the flood, needed “rightsizing.” Invariably, the Lower Ninth Ward was the first community mentioned — and sometimes the only example offered — by anyone believing that New Orleans needed to reduce its urban footprint. This false assumption — that the Lower Ninth was too vulnerable to rebuild — seemed to inform a series of policy decisions. Long after other flooded communities were reopened, the Lower Ninth's residents were barred from returning even to assess the damage. The city reopened Lakeview and New Orleans East approximately one month after the flood, while armed troops continued to stand guard at the bridges into the Lower Ninth. Three more months passed before the troops were ordered to stand down and residents were allowed to visit their homes. A few weeks later, the city announced that it would start bulldozing in the Lower Ninth, sparking a legal battle that dragged on for months. 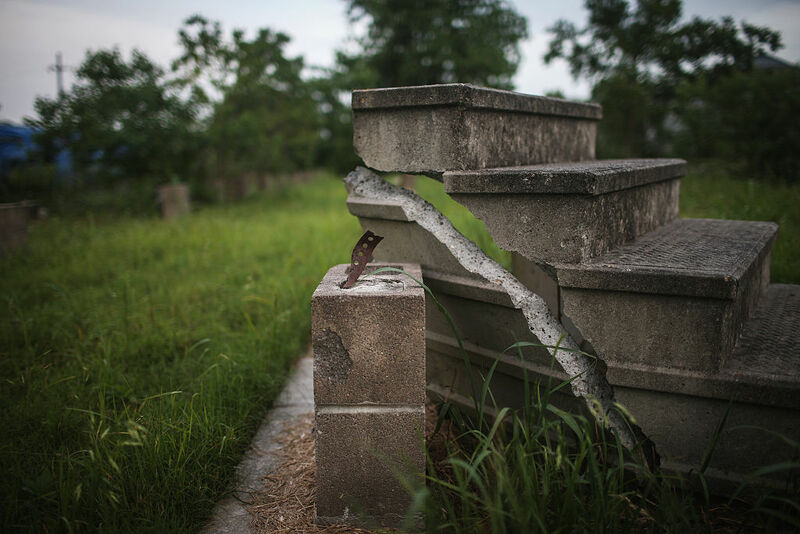 Locals recognized that many homes needed to be demolished, but these people were also scattered across the country in the wake of the storm and wanted time to at least pick through the remains in search of mementos that might have survived. This meant placing a white-majority board based in Baton Rouge in charge of a district that was 94 percent black at the time of Katrina. The new superintendent had been an elementary-school teacher in Baton Rouge and didn't seem to know the city, so Hilda Young, an administrator in the Orleans Parish School District (at least until she and every other district employee were fired en masse), offered to give her a driving tour. “She knew nothing about the city, so I wanted to at least show her where the schools were,” Young said. “But there was no interest.” Nor was there any public debate about whether to rebuild any schools in the Lower Ninth Ward, Young added — only a shrugging disregard whenever local school officials approached someone in Baton Rouge. Rather than accept the state's verdict, Hicks reached out to Common Ground, a group founded immediately after the storm by Malik Rahim, a former Black Panther who lived in a part of the city that had not flooded. Common Ground mobilized the volunteers needed to clean and gut the school. Two police officers were standing in front of the school on the day that 250 volunteers showed up, but Hicks had the support of the local sheriff. “We just cut those big padlocks off all the doors, and everybody got to work,” she said. The next fight — over a new high school for the area to replace the one that had been destroyed — would stretch on for years. Irvin is a light-skinned black man with blue eyes, a gravelly voice, and a penchant for telling the truth even if people don't want to hear it. (Of one local politician, for instance, he quips: “Light, bright, and wants to be white.”) Irvin's family first moved to the Lower Ninth when he was a teenager. He's an Air Force veteran with degrees in accounting and business administration from Dillard University, a historically black college in New Orleans. He made a good living working first for Boeing and then for Lockheed Martin, but he was a married father of three, always hustling to make extra money. “I did anything legal to make a dollar,” Irvin says. After a janitor friend taught him how to strip and buff a floor, he bought a buffer and earned extra money for years doing floors at night and on weekends. Theoretically, Irvin's neighbors should have started moving back by then, too. The federally funded, state-run Road Home program had been designed to make stricken homeowners financially whole — to help people who might have gotten some insurance money, but not enough to rebuild. However, the program was undermined by the fact that payouts were determined by the pre-Katrina value of a home, not the post-Katrina rebuilding costs. "You could say I'm feeling a little skeptical about our government and the promises they make." As designed, Road Home paid as much as $150,000 to a homeowner to make up the difference between a home's appraised value and the insurance payments. For example, a Lakeview couple who received a $200,000 insurance check on a 2,000-square-foot home valued at $350,000 would get the full $150,000 difference from Road Home, while a Lower Ninth Ward couple who received a $40,000 insurance check on a 1,200-square-foot home valued at $70,000 would receive $30,000 from Road Home. But rehabbing a house cost roughly $100 a square foot in post-Katrina New Orleans, whether in Lakeview, where home prices were high, or in the Lower Ninth, where they were low. So it would cost our Lower Ninth couple somewhere around $120,000 to rehabilitate their home — nearly double the money from insurance and Road Home combined. Ironically, Road Home also turned the Lower Ninth's history of home ownership against it. It was a community in which homes had been passed down over generations, from grandparents and great-grandparents. Yet qualifying for a Road Home payment meant enduring an arduous and rigid bureaucratic process that required applicants to demonstrate clear proof that they owned a property — something many families could no longer easily produce. And without a paper trail proving ownership, a homeowner received nothing. Charging that Road Home discriminated against African-American homeowners, housing advocates sued both the federal government and the state in 2008. To pressure the government into settling, a federal judge announced in 2010 that he was inclined to rule in favor of the plaintiffs. By that point, however, the state had spent all but $500 million of the program's more than $10 billion. In 2011, the Obama administration settled the suit, and the state agreed to pay out an additional $62 million to some homeowners. the Lower Ninth proved critical in helping a neighborhood that many didn't see as worth saving. Legions of Common Ground volunteers, nearly all of them out-of-town whites, helped locals gut more than 3,000 homes and churches in the Ninth Ward. solidarity, not charity, declared a sign spray-painted with the group's motto. A row of empty lots in the Upper Ninth was converted into a one-stop hurricane-relief center, where volunteers handed out bleach to help homeowners kill the mold that had become a menace in flood-damaged houses, and established a tool-lending library that included sledgehammers, crowbars, and respirators. Over time, nonprofits began setting up shop in the Lower Ninth, aided by the outside cash that rained down on New Orleans after Katrina. “There was this giant wave of philanthropy rushing to town,” said Carey Shea, who was working for the Rockefeller Foundation at the time, “and a lot of it ended up in the Lower Ninth.” Willie Calhoun, a resident who was involved in the fight to bring more schools to the area, counted 52 nonprofits working there. Organizations formed to help fight for better food access in the area; groups were created to house volunteers. Others focused on reclaiming the bayou, a once-thriving wetland that now looks like a stagnant swamp, or funded those seeking to create art or performances that pointed the way to a more healthy recovery. The rapper Lil Wayne, a New Orleans native, and the philanthropic arm of Mountain Dew contributed money to open a skateboard park. Yet despite this outpouring, precious little of the outside money was used to address the community's biggest, most basic needs: housing and schools. Common Ground tried getting into the home-building business. “Drive around — we still need thousands of houses,” said Thom Pepper, the group's executive director. But Common Ground would build only 10 houses in the Lower Ninth before shifting its focus to job training, wetland restoration, and the legal clinic it operates in the neighborhood. “It's important for an organization to figure out its strengths,” Pepper said. From the start, Brad Pitt, a self-described “architecture junkie,” was focused on building houses. The actor started showing up regularly after Katrina, offering the promise of green homes (all certified “platinum” by the US Green Building Council's LEED program) that would never cost a resident more than 30 percent of his or her income. Under pressure from locals, Pitt agreed to focus his attention on the streets closest to the levee breach, where few houses had been left standing. He threw in $5 million of his own money and then started hitting up his rich friends. In March 2008 — the same month that Henry Irvin moved back home — former president Bill Clinton showed up for a groundbreaking ceremony for the first of Pitt's Make It Right houses. Until then, Pepper said, city officials wouldn't even commit to bringing streetlights or street signs to the area. This is not to say that Pitt's houses haven't stirred up criticism. Residents living in a Make It Right home tend to feel something like love, but Henry Irvin is among those not impressed with the strangely shaped, pastel-colored shotgun homes. “They're the ugliest houses I've ever seen,” Irvin says. But the main complaint voiced about the Make It Right houses is economic rather than aesthetic. People roll their eyes at the spread between home prices in the Lower Ninth and Make It Right's costs. The first houses that Pitt's group built cost more than $400,000 each to construct, in a neighborhood where home prices are closer to $100,000. The group claims it has gotten the cost per home down to between $180,000 and $220,000, but that doesn't include the organization's considerable overhead. By contrast, in Gentilly, a black middle-class neighborhood also devastated by flooding, a nonprofit set up by Barnes & Noble mogul Len Riggio has built more than 150 homes for $30 million, or $200,000 a home, including overhead. it was 10 years ago. The federal government has closed the Mississippi River–Gulf Outlet Canal, or MR-GO, an underused, 76-mile waterway built 40 years earlier to spare ships from navigating the twists of the Mississippi River to get through southern Louisiana. Two federal judges have ruled that MR-GO was in part responsible for the flooding of the Lower Ninth and St. Bernard Parish. The US Army Corps of Engineers spent roughly $1 billion on a 1.8-mile surge barrier that should help fortify the Lower Ninth from future flooding. Even so, Irvin is taking no chances. He still has no carpeting, and the art and pictures on his walls are hung with tape or tacks. “You could say I'm feeling a little skeptical about our government and the promises they make,” he says. Yet he has seen progress in the last few years. The city finally opened a new FEMA-financed fire station in the Lower Ninth, and in May, dignitaries were again in the neighborhood to celebrate the opening of a community center on Claiborne, also paid for with FEMA money. A new high school is expected to be ready next year. Even the roads promise to improve: In 2011, Mayor Landrieu dedicated $45 million from the city's FEMA Recovery Roads Program to street repairs in the Lower Ninth. The Lower Ninth Ward Homeownership Association has created a “House the 9” program to help locals get their fair share of a little more than $100 million in Road Home–related money that's still available. 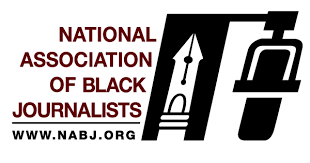 This story was reported in partnership with The Investigative Fund at The Nation Institute, now known as Type Investigations, where Gary Rivlin is a reporting fellow.